February 6-8, 2015 will be an incredible weekend with the top editors, agents, art directors, authors and illustrators in the children's publishing world! 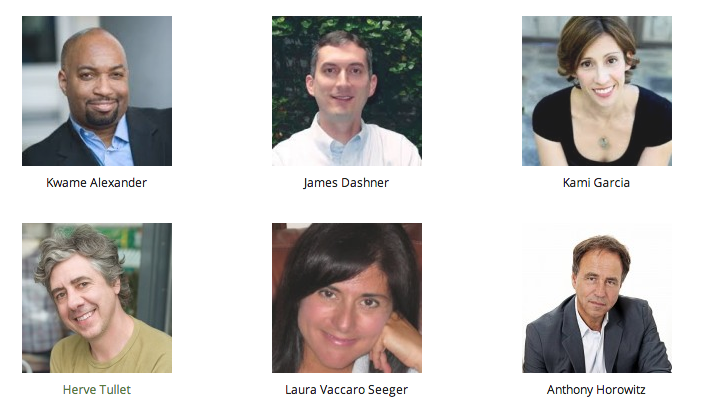 We'll learn from and be inspired by Kwame Alexander, James Dashner, Kami Garcia, Herve Tullet, Laura Vaccaro Seeger and Anthony Horowitz. Editors reporting from the front lines: Justin Chanda, Laura Godwin, Beverly Horowitz and Stephanie Owens Lurie. Agents advising us on Charting Your Career Path: Barry Goldblatt, Jennifer Laughran and Tina Wexler. Choose two of twenty-two sessions, covering the Seven Essentials You Need to Know about a wide range of topics, including: Thrillers and Mysteries; Writing Literary Fiction; Creating Picture Book Art; Working with an Agent or Artists Rep; Nonfiction; Working with an Editor; Developing Your Brand and Career Path; Cover Art; Writing Picture Books, Leveled Readers, Middle Grade and YA Fiction; and Writing for a Diverse Audience. Illustrators who attend have the opportunity to have their portfolios included in the showcase and seen by a who's who of kid lit art directors and editors! With drinks and buffet treats, this Saturday evening party is organized by SCBWI regions to help you find your geographic neighbors and new BFFs! Sunday afternoon's finale to the conference - where you can get your books signed by our amazing conference faculty! And for those of us who want to dig even deeper, there will be FOUR intensives: an Illustrator Intensive, the Writer Roundtables, a writer's World-building intensive and an intensive on building your first website. The first of our spotlights on the 2014 Crystal Kite Winners illuminates THE BALLAD OF JESSIE PEARL by Shannon Hitchcock. A member of SCBWI Florida, Shannon's book won for the Florida, Georgia, South Carolina, North Carolina, Alabama, Mississippi and Louisiana division. 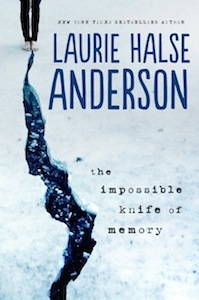 The 2014 Crystal Kite-Winning Book! It’s 1922 and Jessie has big plans for her future, but that’s before tuberculosis strikes. Though she has no talent for cooking, cleaning, or nursing, Jessie puts her dreams on hold to help her family. She falls in love for the first time ever, and suddenly what she wants is not so simple anymore. THE BALLAD OF JESSIE PEARL wraps you like an old quilt in the traditions, tastes, and dialect of rural North Carolina. Lee: How long have you been involved with SCBWI and what have you gained by being a member? Shannon: I don’t remember exactly when I joined SCBWI, but it was over ten years ago. The biggest gift SCBWI has given to me is friendships. Writing is a solitary endeavor and it’s wonderful to connect with others who are as passionate about it as I am. I also gain a wealth of knowledge at the conferences. I met my mentor, Joyce Sweeney, at one of the Miami SCBWI Conferences. Joyce gave me lots of guidance as I learned to craft a novel. And none other than Richard Peck himself had a hand in plotting THE BALLAD OF JESSIE PEARL. He critiqued the first ten pages at an SCBWI conference, and then asked me to walk him through the rest of the plot. I confessed that I didn’t know how it would end yet, and he brainstormed with me. Needless to say I used his ending! Lee: What a great story about your story! Do you have any advice to share with other children’s book writers and illustrators? Shannon: Educate yourself by taking classes and attending conferences. If I had started taking classes with Joyce Sweeney earlier, I think my road to publication would have been much shorter. Lots of great classes like Joyce’s are offered on-line. You can even attend in your pajamas! Shannon is a wonderful writer who is well deserving of this award. She works hard on her craft, attending SCBWI events and as well as other workshops. 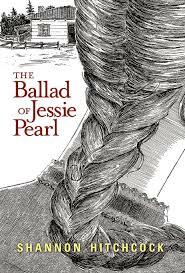 I am impressed by her perseverance, it took her many years to get THE BALLAD OF JESSIE PEARL published but she never gave up. 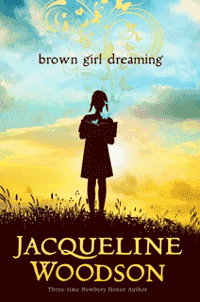 I’m thrilled that Shannon has sold another historical novel to Andrea Pinkney at Scholastic. We are a diverse community of hardworking volunteers dedicated to making your dreams of becoming published authors and illustrators for kids and teens a reality. 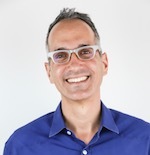 Through our Florida Regional Conference, held every January in Miami, our Mid-Year Workshop, held every June in Orlando, and lots of smaller events throughout the year and state, we put YOU in touch with top agents and editors in the children’s book industry. A wonderful place to share ideas, make new friends, find critique groups near you, and learn more about the market, SCBWI Florida is the only writers/illustrators support system you’ll ever need. Thanks to Shannon and Linda, and Cheers to Shannon on winning the 2014 Crystal Kite Award for THE BALLAD OF JESSIE PEARL! You can find out more about Shannon at her website here. And learn more about SCBWI Florida and all their events at their online home. You're reading an exciting scene, you're nervous for the main character, and your chest feels tight... Wait a minute, your chest actually IS tight. With Sensory Fiction, a new technology conceptualized and prototyped by students at MIT's Media Lab, the vest you're wearing would actually tighten around your chest - so you can feel what the character feels. Or... your character enters a volcanic tube, and the heat is intense. You start to sweat. Yup, it's the vest again, heating up and helping you experience what the character experiences. Good idea, or bad? What do you think? Check out the details of this possible future for publishing -- and reading -- here. I do believe this photo of my brother from when he was a toddler is quite the writing prompt, as well... It feels rather Hitchcock, doesn't it? 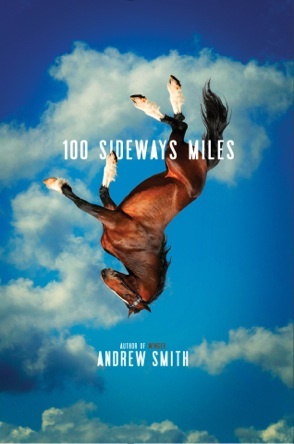 The National Book Foundation announced yesterday it's "longlist" - the ten books it's considering for this year's National Book Award for Young People's Literature. For the past five years, Hayley Kincaid and her father, Andy, have been on the road, never staying long in one place as he struggles to escape the demons that have tortured him since his return from Iraq. Now they are back in the town where he grew up so Hayley can attend school. Perhaps, for the first time, Hayley can have a normal life, put aside her own painful memories, even have a relationship with Finn, the hot guy who obviously likes her but is hiding secrets of his own. Will being back home help Andy’s PTSD, or will his terrible memories drag him to the edge of hell, and drugs push him over? 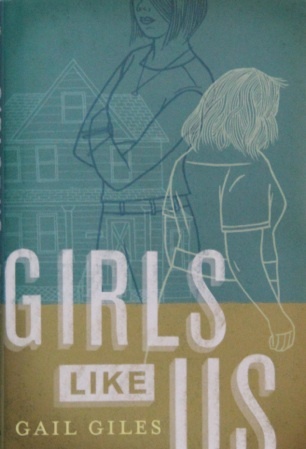 Quincy and Biddy are both graduates of their high school’s special ed program, but they couldn’t be more different: suspicious Quincy faces the world with her fists up, while gentle Biddy is frightened to step outside her front door. When they’re thrown together as roommates in the first “real world” apartments it initially seems like an uneasy fit. But as Biddy’s past resurfaces and Quincy faces something that on one should have to go through alone, the two of them realize that they might have more in common than they thought--and more important, that they might be able to help each other move forward, together. Classic Malley — to avoid being shipped off to boarding school, she takes off with some guy she met online. Poor Richard — he knows his cousin’s in trouble before she does. 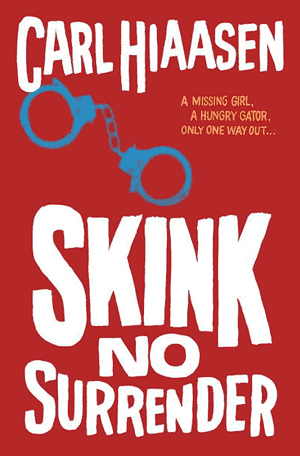 Wild Skink — he’s a ragged, one-eyed ex-governor of Florida, and enough of a renegade to think he can track Malley down. With Richard riding shotgun, the unlikely pair scour the state, undaunted by blinding storms, crazed pigs, flying bullets, and giant gators. A group of young African American sailors – many of them teenagers – are assigned to load ammunition at Port Chicago, a segregated naval base in California. But they are never trained to handle ammunition safely, and are constantly being rushed by their officers. 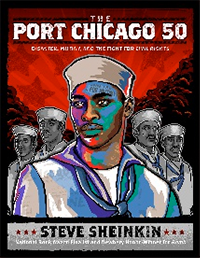 When a terrifying disaster rocks the base, the men face the toughest decision of their lives: do they return to duty as ordered, or do they risk everything to take a stand against segregation in the military? Listen—Travis Coates was alive once and then he wasn’t. Now he's alive again. Simple as that. The in between part is still a little fuzzy, but he can tell you that, at some point or another, his head got chopped off and shoved into a freezer in Denver, Colorado. Five years later, it was reattached to some other guy’s body, and well, here he is. Despite all logic, he's still 16 and everything and everyone around him has changed. That includes his bedroom, his parents, his best friend, and his girlfriend. Or maybe she's not his girlfriend anymore? That's a bit fuzzy too. Looks like if the new Travis and the old Travis are ever going to find a way to exist together, then there are going to be a few more scars. Oh well, you only live twice. It’s 1964, and Sunny’s town is being invaded. Or at least that’s what the adults of Greenwood, Mississippi are saying. All Sunny knows is that people from up north are coming to help people register to vote. 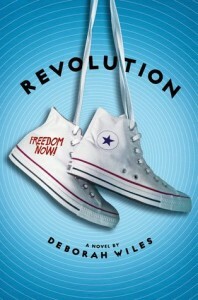 They’re calling it Freedom Summer. Meanwhile, Sunny can’t help but feel like her house is being invaded, too. 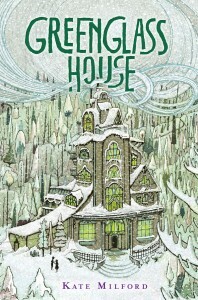 She has a new stepmother, a new brother, and a new sister crowding her life, giving her little room to breathe. And things get even trickier when Sunny and her brother are caught sneaking into the local swimming pool — where they bump into a mystery boy whose life is going to become tangled up in theirs. Into the jungle. Into the wild. Into harm's way. 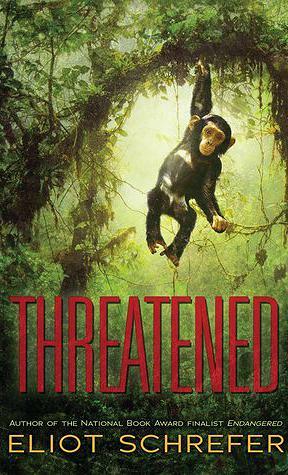 When he was a boy, Luc's mother would warn him about the "mock men" living in the trees by their home -- chimpanzees whose cries would fill the night. Luc is older now, his mother gone. He lives in a house of mistreated orphans, barely getting by. Then a man calling himself Prof comes to town with a mysterious mission. When Luc tries to rob him, the man isn't mad. Instead, he offers Luc a job. Together, Luc and Prof head into the rough, dangerous jungle in order to study the elusive chimpanzees. There, Luc finally finds a new family -- and must act when that family comes under attack. A rambling old smuggler's inn, a strange map, an attic packed with treasures, squabbling guests, theft, friendship, and an unusual haunting mark this smart mystery in the tradition of the Mysterious Benedict Society books. 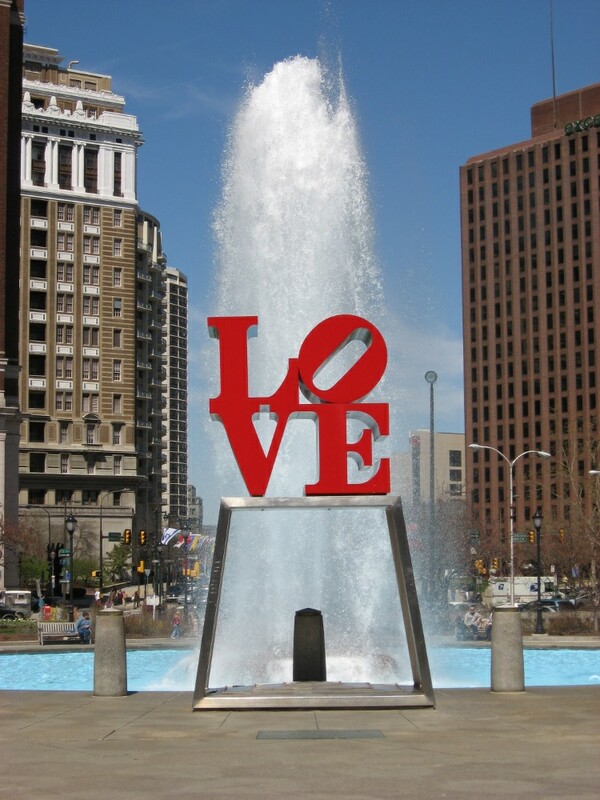 The LOVE sculpture by Robert Indiana, photo from here. "The main hormone in birth is oxytocin, the love hormone. What makes a baby brings a baby." -Jordan, a birth Doula, on the birth of her and her husband Jonathon's first child, Maxwell Love. We write and illustrate works for children, books for children, creative content for children. We tell stories, with words and images. We are storytellers. We are artists. 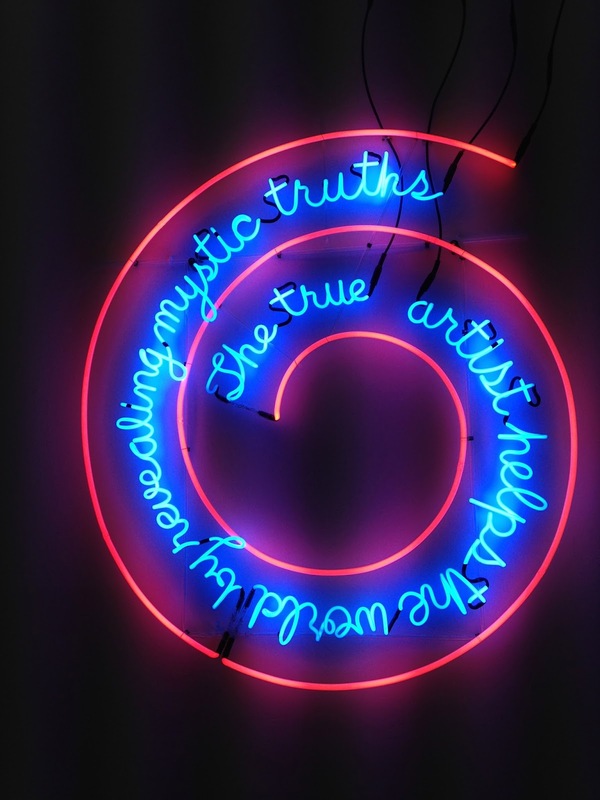 The True Artist Helps The World by Revealing Mystic Truths, one of Bruce Nauman's first neons, is a founding work in his career. Hijacking a medium generally associated with the tawdry (cheap motels, shop windows and bars), Nauman's sign advertises a metaphysical and deeply personal message as if it were for sale. Throughout his long and illustrious career, Nauman has examined the role and responsibilities of the artist. The title statement of this poetic spiral is neither entirely facetious nor completely serious, and the contradictions embodied in the piece yield an ambiguity that is both playful and profound. This year, the 8th Annual Conference of, by and for people who blog about children’s and young adult books (including librarians, authors, teachers, parents, booksellers, publishers, and readers) will be gathering October 10th and 11th at the Tsakopoulos Library Galleria in Sacramento, CA. Organized by Sarah Stevenson and Tanita Davis from Finding Wonderland and Jen Robinson from Jen Robinson’s Book Page, the conference theme is "Blogging Diversity in Young Adult and Children’s Lit: What’s Next?" The program, coordinated by Charlotte Taylor of Charlotte's Library, is of high interest (and enormous synergy) for those of us who write and illustrate works for children. "What we would like to do with this year’s KidLitCon (along with our usual goals) is discuss what book bloggers can do to make a meaningful difference in increasing diversity in children’s and young adult literature. This year’s keynote speaker will be Mitali Perkins, an author whose focus has long been on “books between cultures for young readers”. Among other things, Mitali will talk about how bloggers can be agents of change in the conversation about diversity in children’s and young adult literature. 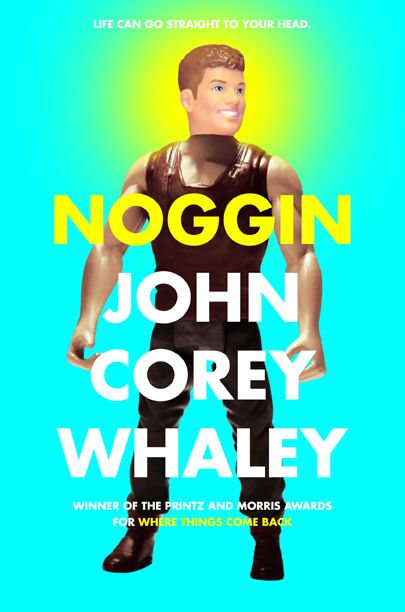 Shannon Hale, who has written eloquently on the need for writing non-neutral characters, and who helped launch the Great Green Heist Challenge, is also expected to participate in the conference via Skype. We will talk about other issues of interest to children’s and YA book bloggers, too. But it is also our hope to make a bit of noise on behalf of diversity in children’s literature. It is past time for that." You can find the schedule of keynotes and panels here, along with registration info at this page. It's inspiring for all the possible audiences: gatekeepers like parents, grandparents, teachers, librarians and booksellers, and even kid readers in the laps of those adults! 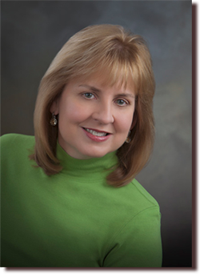 To learn more about Antoinette Portis and her books, check out her website here.